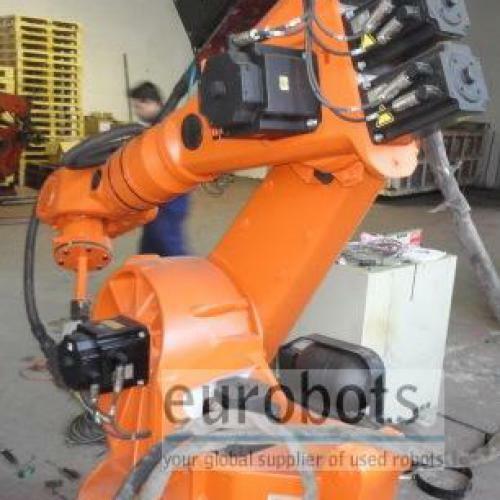 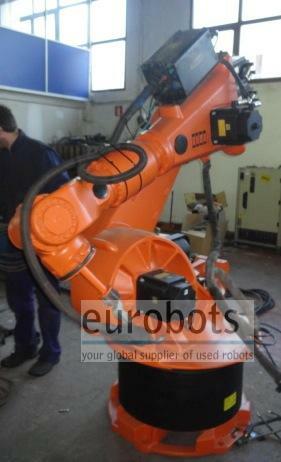 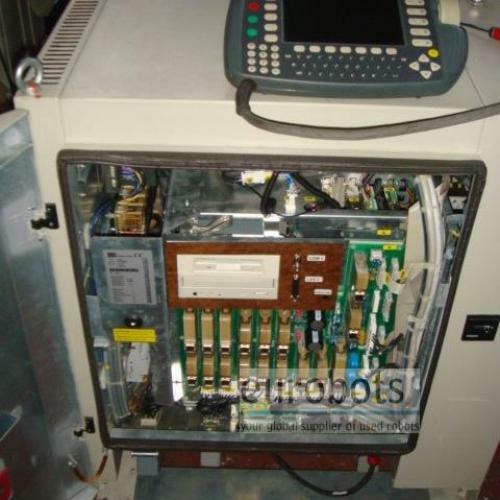 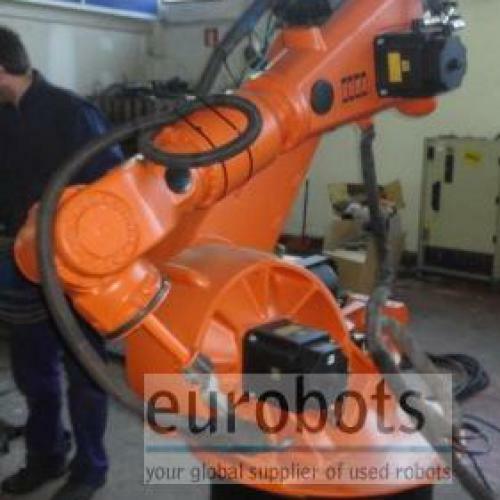 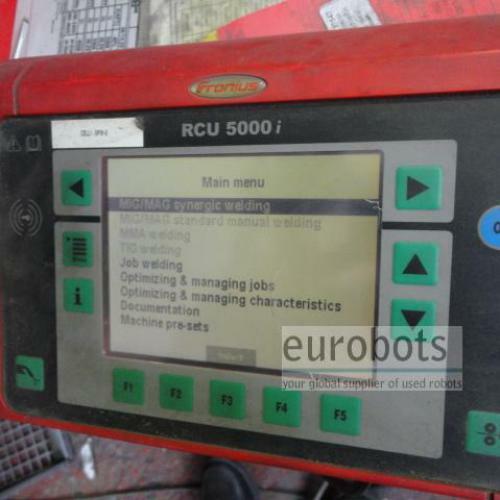 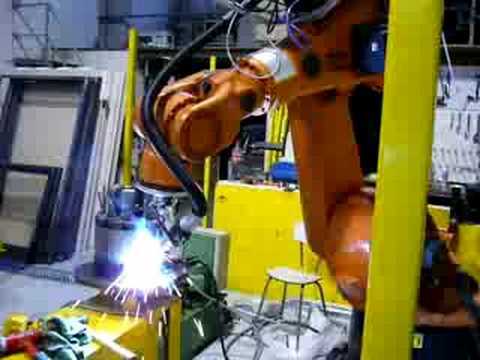 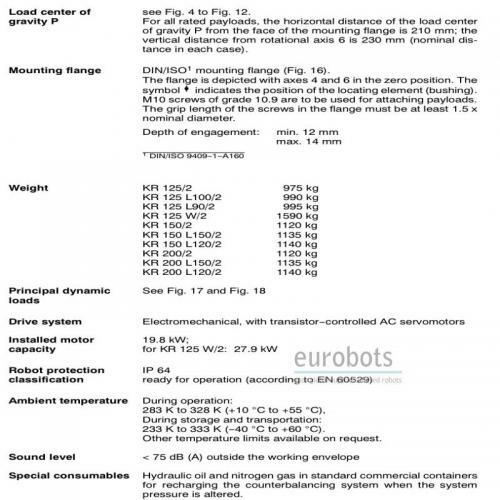 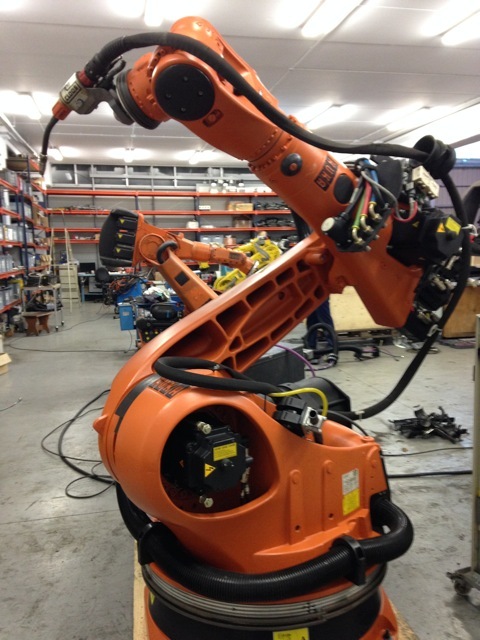 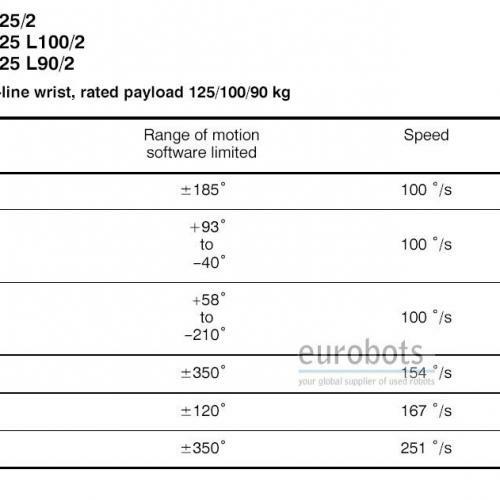 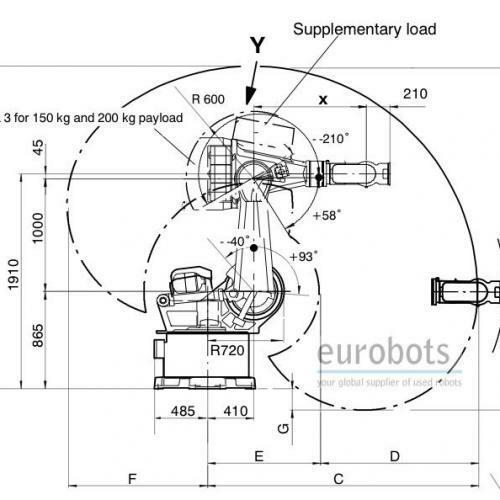 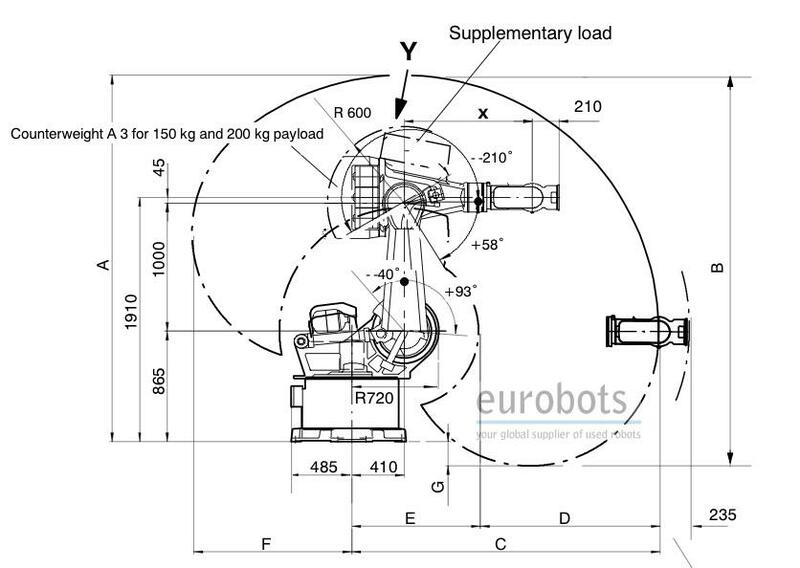 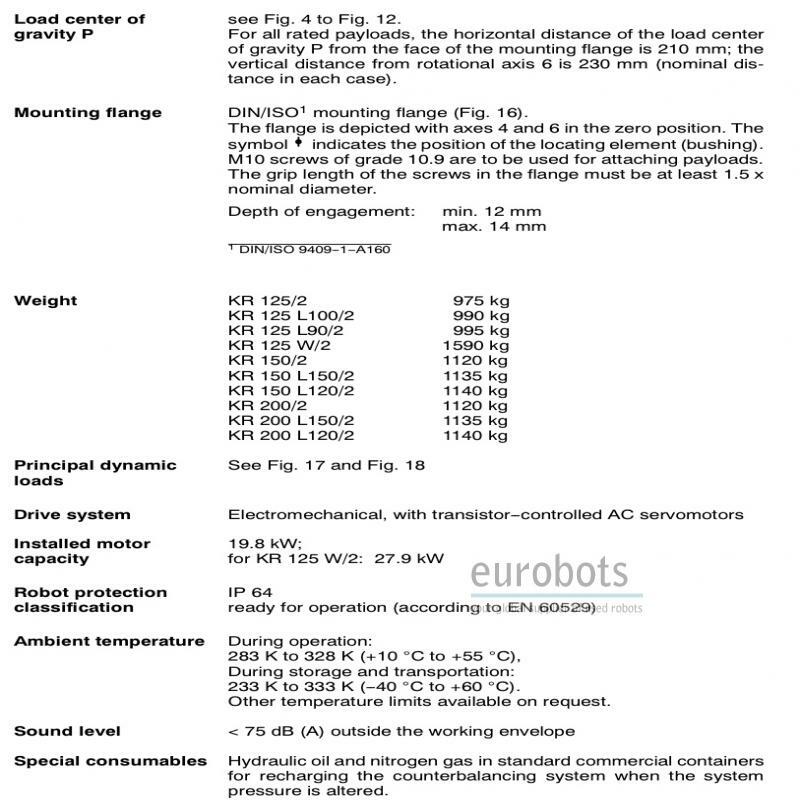 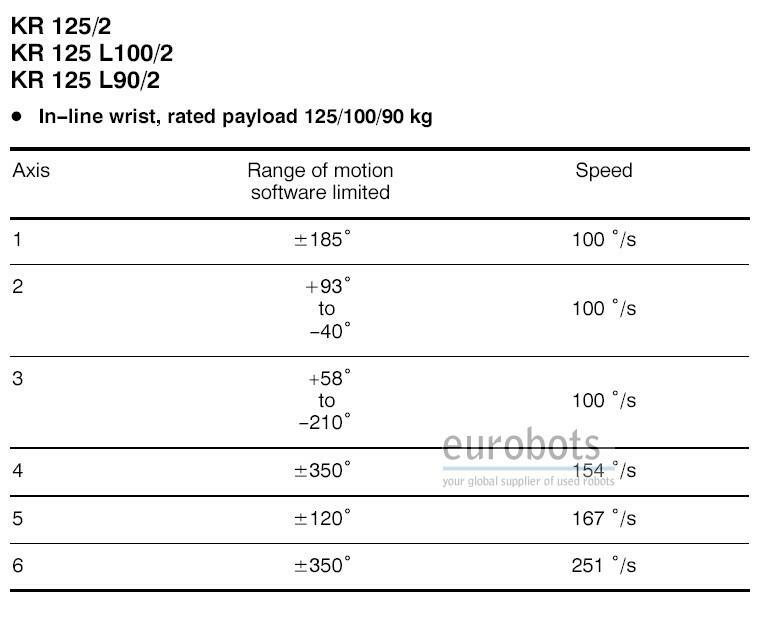 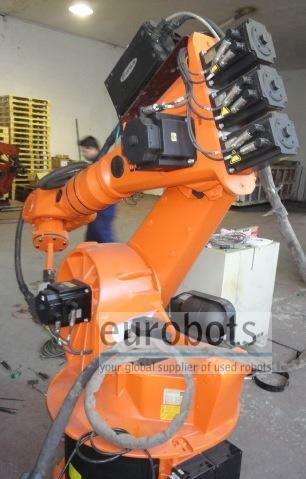 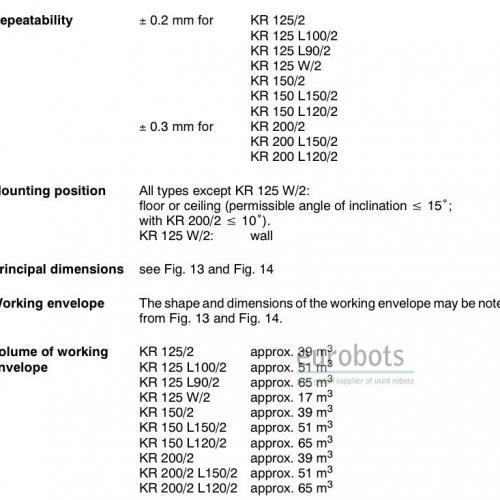 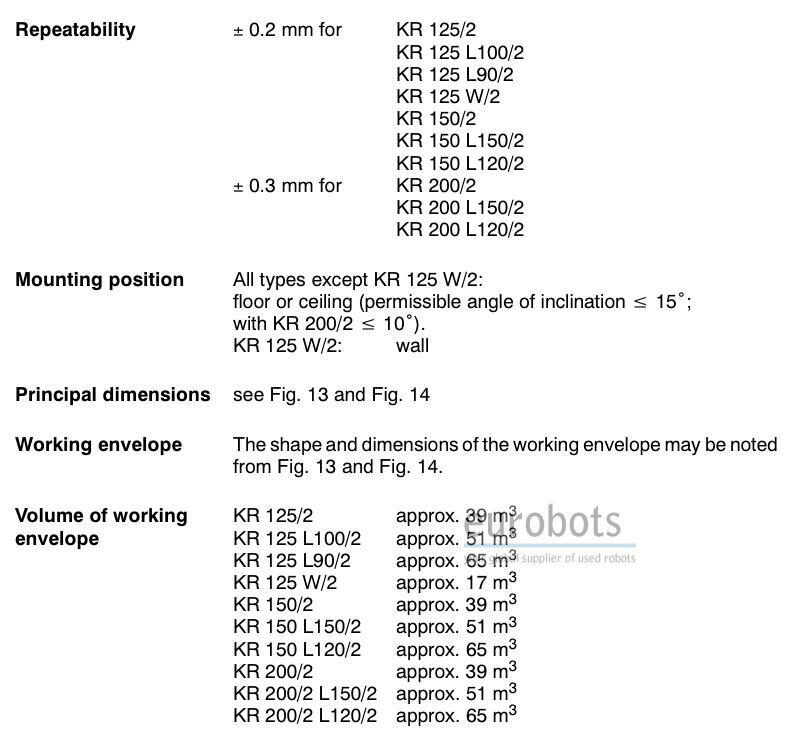 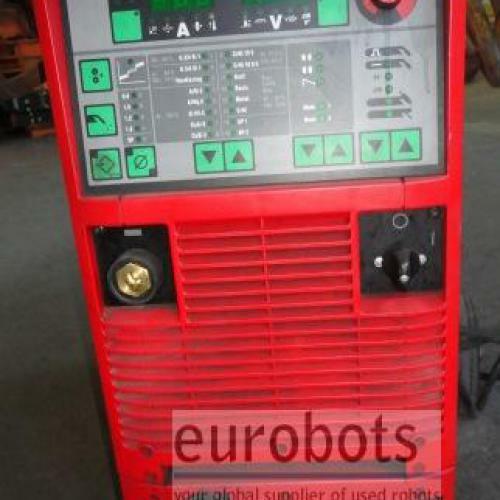 KUKA KR125 with KRC1 or KRC2 controller, Software stand 4.1.4, a 6 axis welding robot year 2000/2001, 2600 mm arm reach and 0,2 mm accuracy. 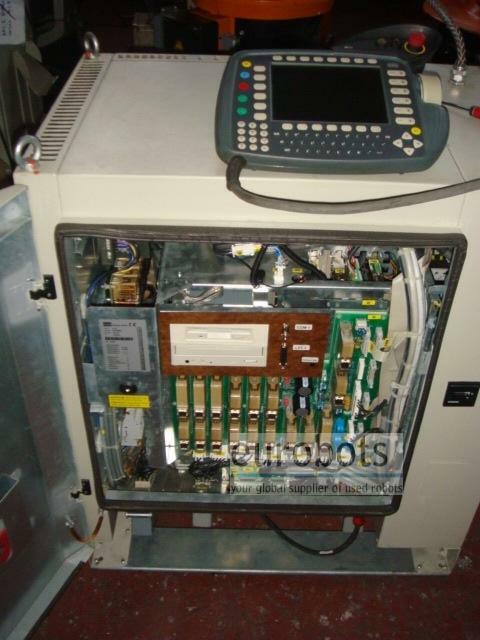 The system includes a Synergic TPS4000 water-cooled MIG/MAG power source from Fronius, 400 Amperes. 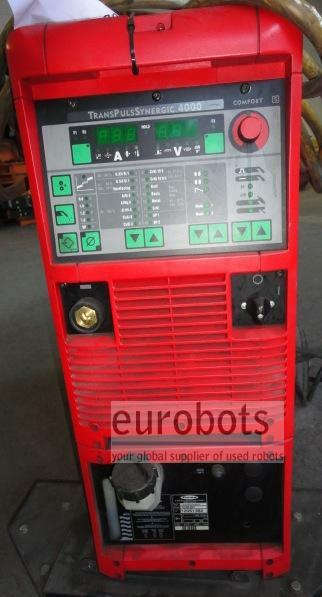 Fronius is one of the leading suppliers of Welding technology worldwide. 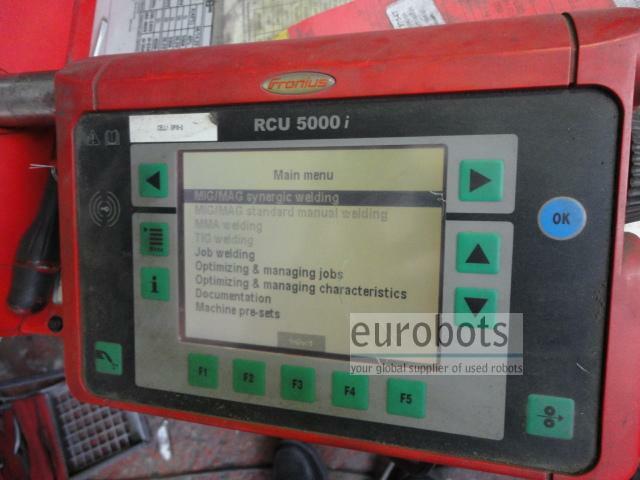 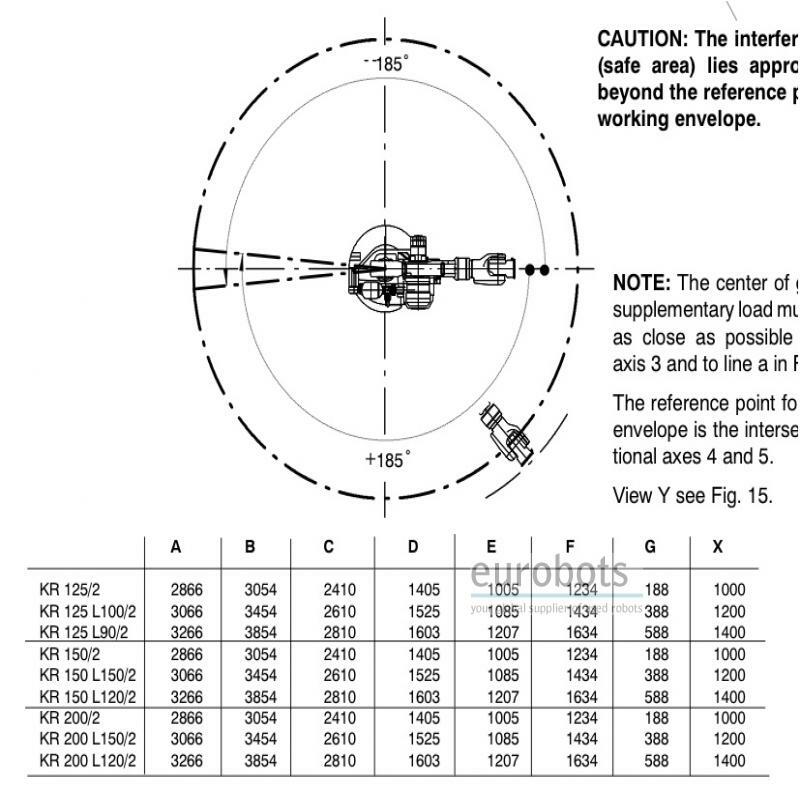 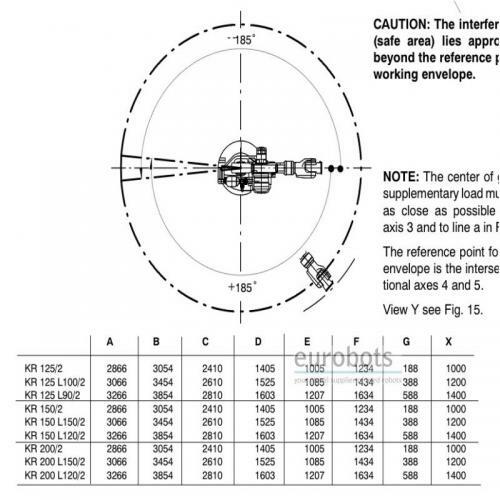 The welding program selection is greatly simplified by choosing a job number stored in the Fronius. 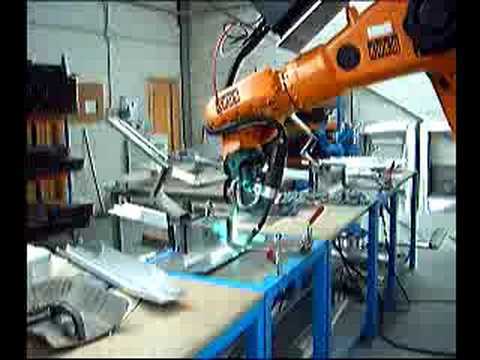 This feature is comes in very handy when different materials are to be welded. 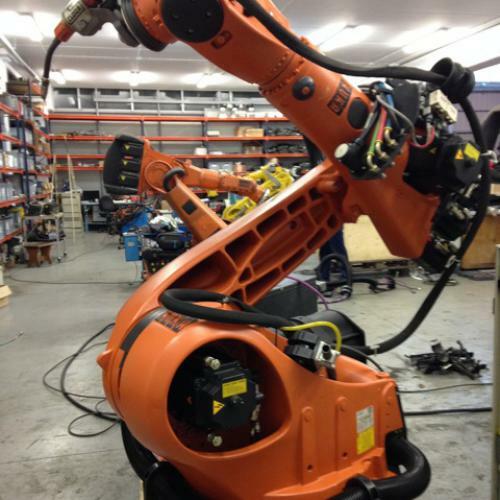 The system is completed by a water cooled welding torch, wire feeder and pneumatic cleaning torch station.